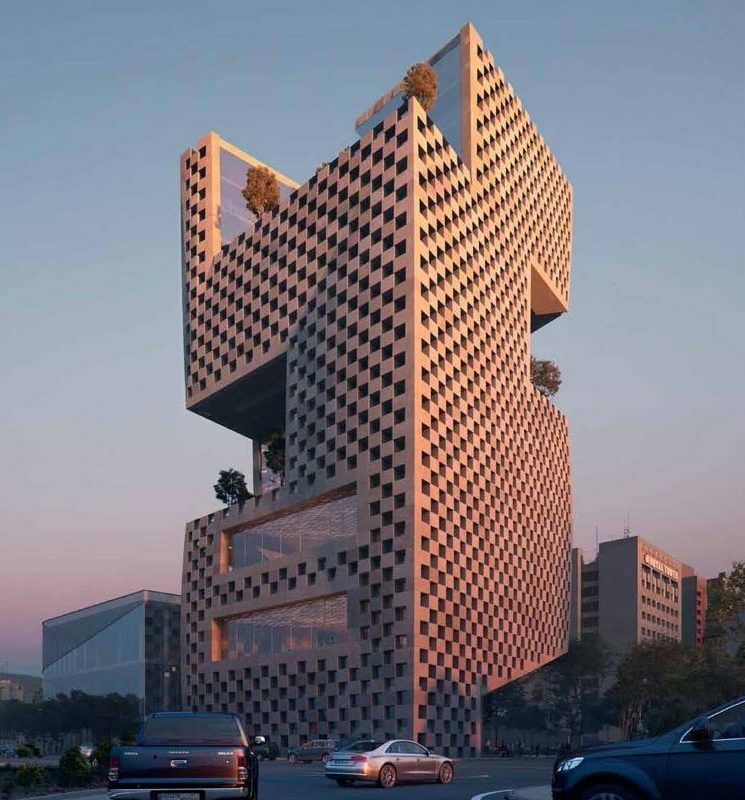 Earlier this year Banque Libano-Francaise embarked on a relatively unusual process to choose an architect for its forthcoming headquarters at the northern entrance of Beirut. 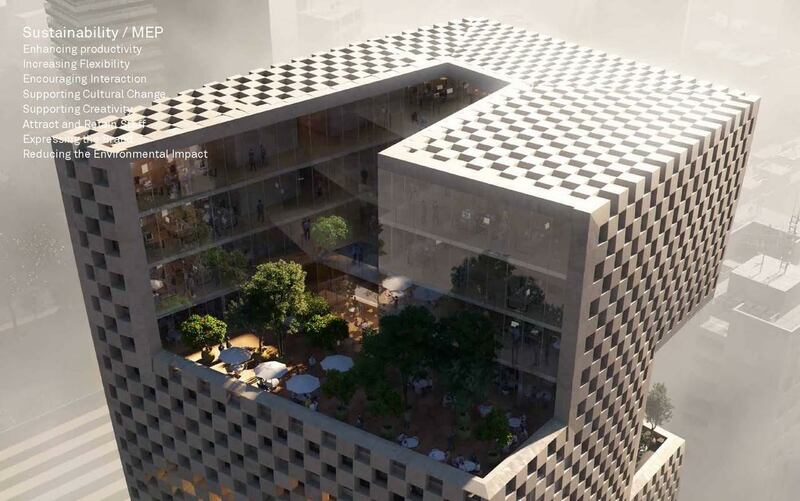 After several phases and public events that benefited Lebanon’s design community, the winner was finally announced as Norway’s Snøhetta with their project “The Magic Box”. The building will take roughly three to five years to complete on a plot of land between Mar Mikhael and the Charles Helou highway. Executive Life sat down with BLF’s General Manager Raya Rapahël Nahas to talk about the competition and the winning entry, and in the process learned about Nahas’ passion for architecture. Why did you decide to have a competition like this? It was not easy but it reveals the way we do things [at BLF]— we do things a bit differently. Usually you [just decide]to work with one architect and you start. We decided we could have the luxury of sacrificing a few months to make the right choice because we knew exactly what we wanted but we needed someone to transform it into reality. At the end of the day it’s only one building and how impactful can one building be in the city? A building alone cannot impact the city but the process behind it can trigger something, a movement. Our objective, our ambition, is to inspire other private companies to have the same ideas in mind. I also have to say I wanted to be an architect originally so maybe this is why I [went through this process]– I love architecture. How did you select the eight architects in the competition? We had a study in 2015. I asked [Italian architect and curator Luca Molinary, the official consultant on the project] to select 50 architects. One of my criteria was I didn’t want a big star… more like emerging architects or rising stars. So we went through their websites to see what these architects were building, then short-listed about 35 studios. I had to make tough decisions; [For example] I removed architects that do not have an office in Europe [because of logistics]. At the end of the day building a headquarters, or building anything, it’s a question of the relationship between an architect and client. I needed to make sure [we had mutual understanding]so I said I’m going to visit them, I can sacrifice ten days of my year. Luca and I went all over Europe just to visit the architects and this was the best decision because some of the studios I went to, there was no chemistry [and we]removed them immediately. The architects were very surprised and triggered by this process because no one does it, apparently. Usually they receive letters [inviting them]to pitch for something. After that, we had to short-list eight, taking into consideration the risk of the project. There were two architects I loved but I did not short-list because their offices were too small; I thought it would be [difficult for them]. I wanted at least two Lebanese [architects], so we chose six foreigners and two Lebanese, Nabil Gholam and Youssef Tohmé. What set the winning project by Snøhetta apart? We found it amazing to go back to the historical, [authentic architecture]of Lebanon. When you look at the city, the heart of Beirut is all stone buildings; Beirut is not a city of glass towers. Snøhetta did an interesting study on sustainability and traditional Lebanese houses. Stone is much [more sustainable than glass]. When you see [The Magic Box] you just see a stone sculpture, although there is actually a lot of glass inside. If you look in detail you’ll see the proportion of stone in comparison to glass is not very different from other projects, but designed in a completely different way [with a checkered design of stone and glass]. Sustainability was one of the main points in the design brief and their study of all the sustainability elements is amazing and part of [the reason behind]our choice. The other thing we liked a lot in the project is that it really fits in the context. How does this project fit in the context of the Mar Mikhael neighborhood? When you have a construction project you also look at the context of where you are building and take into account the impact of your building on the neighborhood and the community. We didn’t only look at the business needs of the project and we would like to break with the conventional codes of private construction in Lebanon. Usually with a private building people put a fence around it for security. Even though we are not the public sector, in Lebanon the private sector has to take initiative to make changes in the country. So we said we will take the risk [and]include public spaces in our building, without compromising security. What kind of public spaces does The Magic Box have? [The public space] was a major point in the design brief and practically all the architects had the same idea, that the public space should be an esplanade on the ground floor plus an auditorium that we could use, not only for our business needs but also for cultural events. Snøhetta [thought]the Mar Mikhael stairs really represent the neighborhood and included those stairs in the building as [part of]the public space. We are reproducing another Mar Mikhael stairway [next to the entrance of the bank]and letting the public take ownership [of it]. That’s why the entrance of the building is not on the highway, but on [Armenia Street]. The stairs continue [inside the building]towards the auditorium, [which]has a sea view, and when you need to have a dark room there will be a blackout curtain. I think it’s a beautiful idea. Tell us about the exterior of the building. It’s not an exact square and the walls are not [exactly]straight, they have curves so sunlight can reflect differently on the stone and the color changes depending on the hour of the day, [it’s like] a moving sculpture. The exposure of the sun is not the same on each façade. The maximum sunlight is on the south façade so the glass openings are smaller, narrower and also the stone cladding [has more]depth to protect from the heat. In the west [the openings]get a bit bigger and the north side has the biggest [openings]because you don’t have too much sun and it happens to be facing the sea so it’s a nicer view. While many companies are building high towers, you’ve chosen a low-rise building. Why? Of the eight proposals, half were towers and the other half low-rise buildings. We had a lot of discussions and we were convinced by Snøhetta’s response to this. They said most of all we should respect our neighborhood and our environment. You can measure the footprint of a building on the city by the length of its shadow; the higher you go, the bigger the shadow you put on the city and the greater the amount of people and surroundings you are putting in that shadow. Mar Mikhael is all short buildings and old Lebanese houses. Even if [others]are [building towers]it doesn’t justify that you should do it. Snøhetta said they don’t see the BLF headquarters as a [high-rise building] because it’s not our DNA; we should not compete in highs, but in representation. There’s also a much more pragmatic answer: don’t sacrifice workspace just to go higher, because in a high-rise building each floor is much smaller. When you have a bigger floor it’s easier to organize a workspace, you can put more people on it and you really facilitate collaborative work. What are some of the cool features for the BLF employees who will work in this building? This building is going to be great but most of all we are building it for our employees, our community, because we will be living in this building. The public stairs stop being public after they reach the auditorium – but they don’t stop, they continue throughout the building. [Above the auditorium we] have a double floor that is a customer meeting floor. We are going to ask our staff not to hold any meetings in their offices [and instead]have a floor of meeting rooms. But we don’t want typical rooms. [The space] is like a wooden sculpture, with conference rooms on top, meeting rooms underneath, lounges and different possibilities of how you can meet a client, depending on the client. Less and less clients are actually coming to the bank but I would like them to have an experience they will not forget. On this floor [I would like to also] collaborate with different artists and give [exhibition]space to each artist. This building is not going to be constructed now, it will take maybe three to five years. Already we are experiencing revolutions in our day-to-day world. We don’t work the same way we used to ten years ago and it’s going faster and faster so in five years where are we going to be? 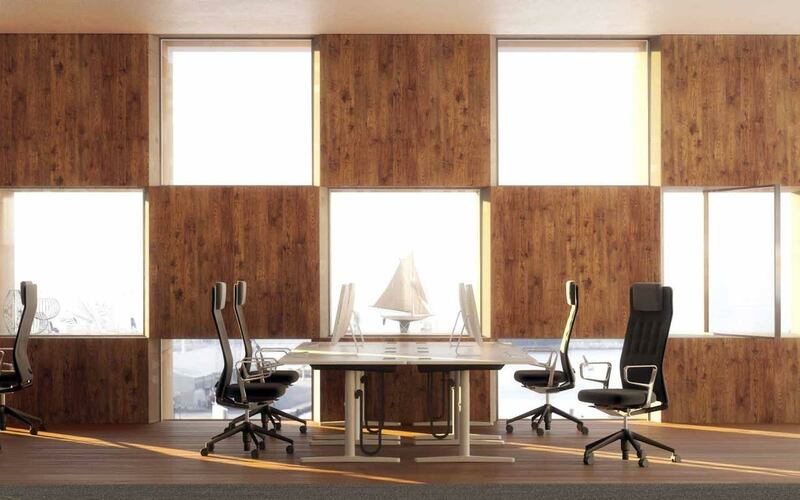 We need a workspace that can be adaptable to the new working conditions. Today we are going towards more collaborative ways of working so we need this space; it enables communication. The upper part of the building is for the bank community, divided into three [parts]. 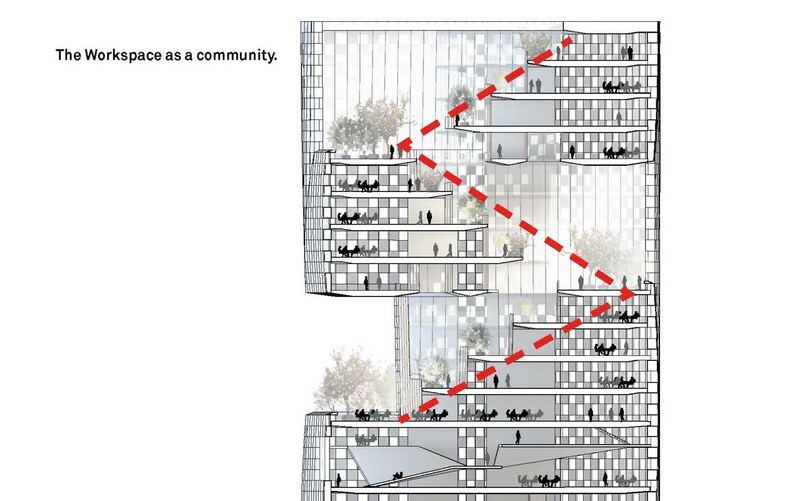 The idea is [each community]has a terrace, and what links them together is the stairs. Snøhetta [explained that we]need to encourage people to use the stairs, for health [reasons], for sustainability and to get people together. If you have to take the stairs at the end of a corridor, nothing attracts you to them, but [we are making]the stairs attractive. People taking the stairs can enjoy the terraces [at two intervals]. No one would take a long staircase that you can see from bottom to top; they will think oh I can’t climb all those stairs. But if you see just a portion of it, you will be attracted. It’s much nicer to walk, enjoy the view and get some fresh air. The terraces will be very green openings, enabling the daylight to go on the whole community inside the building. Are you confident about your choice? It was not an easy choice. Of course it was about the project, but more importantly it was to choose an architect. We are very confident that we made the right choice because we a team that looks like us in a way. They are low key, they believe in the historical heritage of the city, they are very attached to details, and they totally understood everything we asked for. These are the right people. Even if this particular project has issues, we will adapt it because we are confident this team can really take us where we would like to go. Snøhetta is doing huge projects today, like on Ground Zero in New York City and the headquarters of Le Monde in Paris. But [their architect]Kjetil Thorsen said there is something very particular about this project that he loves, that a client like BLF brings out the best in them and a city like Beirut challenges the definition of urban typologies and contradictory architectural interpretations. It’s risky to have a competition because then the winner you decide on has to build it. You hear about a lot of competitions in the country and in the end, the winner is not the one who is actually building. We were very keen on keeping very good governance on the project. Do you think the building will become a landmark? You don’t build a landmark, a building becomes a landmark because the people around it take ownership of it. We said in our design brief we would like this building to have the capability of becoming a landmark, [so]we don’t know if it will become a landmark but it has the ability to become one. It is very powerful, because the stone, because of the color and because we are respecting our neighborhood. This building has the potential to become a landmark.